The Simple line is an exceptional combination of aesthetically pleasing pots and great functionality. Thanks to their adequate sizes and capacities as well as practical features, the Simple pots will prove to be of great help during the preparation of daily meals. 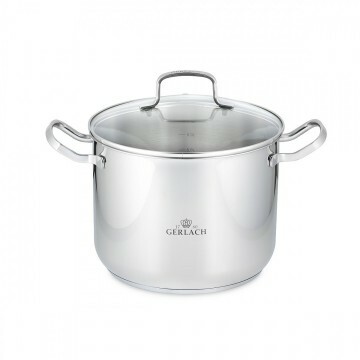 The SIMPLE 7.0 l pot is an excellent choice for those who prepare meals for many people. 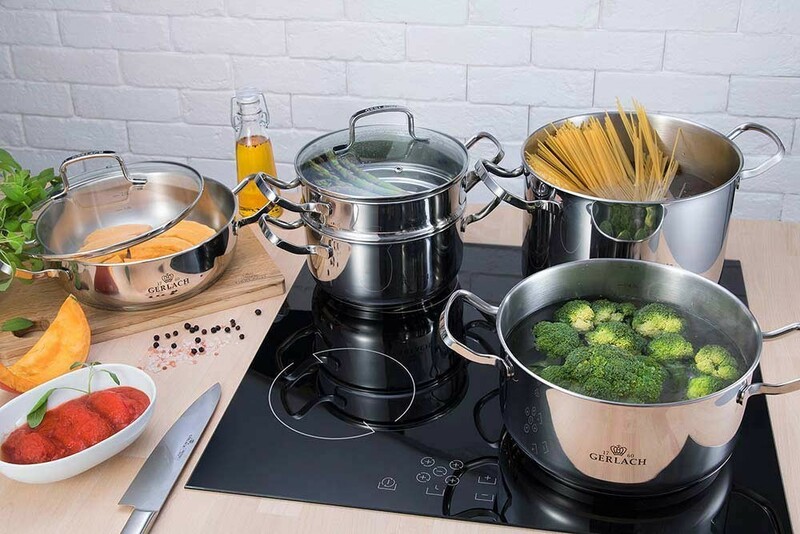 With this pot you can easily prepare homemade soups or cook pasta for the entire family, and organising a large dinner for over a dozen of guests will never again be stressful. 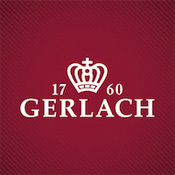 The Simple line of products will also constitute a tasteful addition to kitchen interior decor. 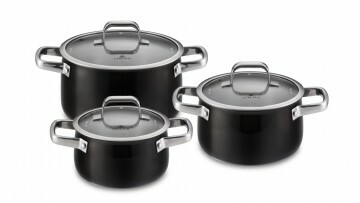 The simple and modern design of the cookware brilliantly suits both traditional and minimalist interiors. 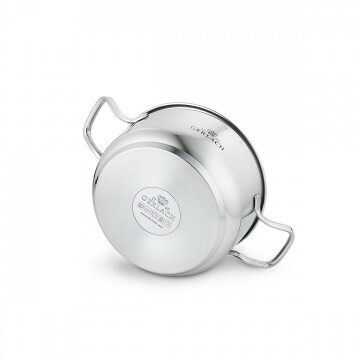 The Simple pot is made of 18/10 stainless steel that makes it more resistant to rust, high temperatures, and damage, as well as dishwasher and oven safe (Caution! Temperatures above 180°C may cause discolouration). 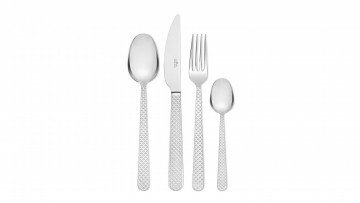 The product is characterised by a perfectly flat interior that is free of rivets. 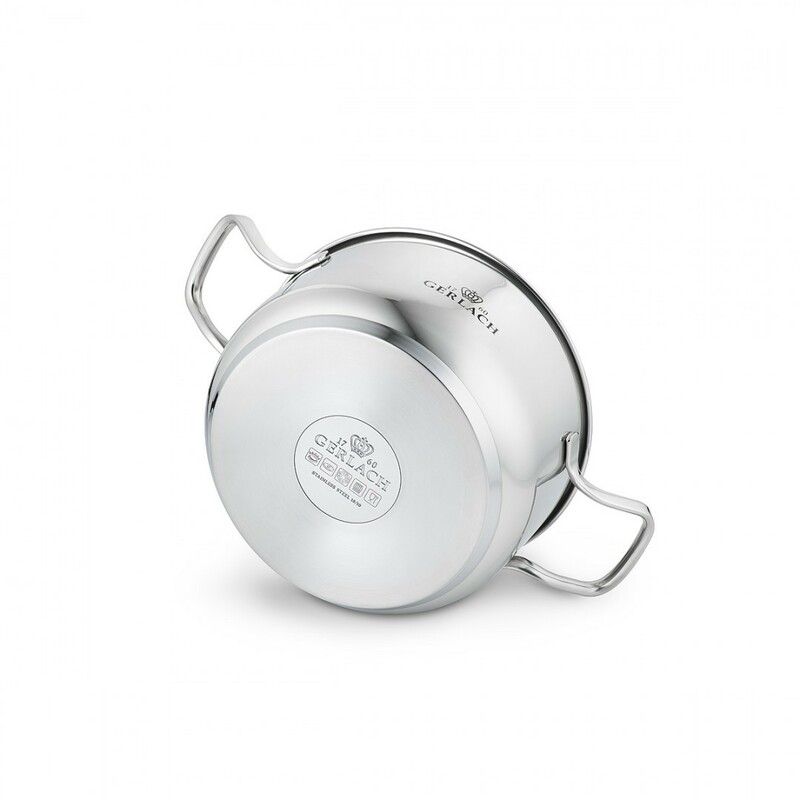 A thick three-layer bottom with a uniformly surfaced built-in aluminium disc facilitates the even distribution of heat, which leads to a reduction in cooking time and saves energy. The special bottom allows the pots to be used on all heat sources, including induction stoves. The Simple line pot is equipped with a fitted tempered glass lid that stands out thanks to its resistance to high temperatures. Additionally, the lid tightly seals the pot, preventing the water from leaking out and losing valuable nutrients. 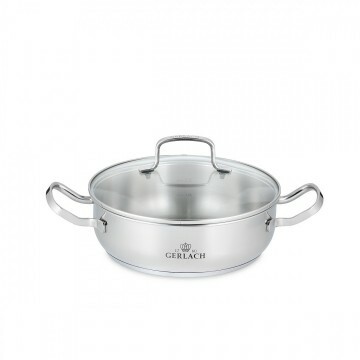 The lid is also equipped with a special ventilation hole that reduces the excess water vapour in the pot. The ideally profiled rim of the pot prevents the water that is poured into it from leaking. 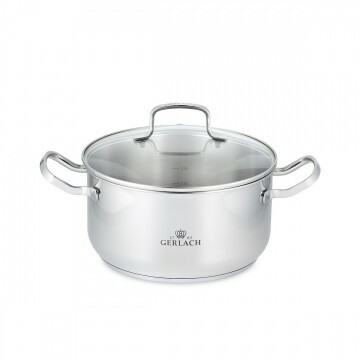 Large and comfortable steel handles make it easier to lift and move the heavy pot. 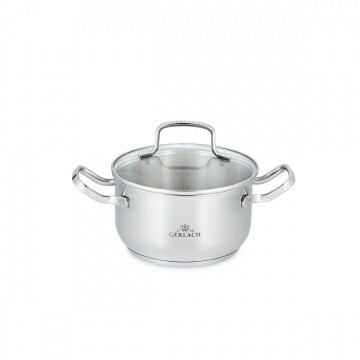 The pot is equipped with an inner measure that makes measuring the added ingredients easier.